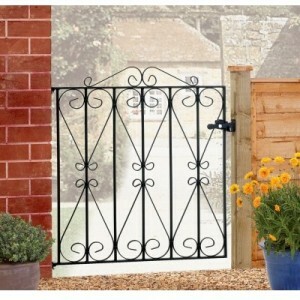 This stunning value range of Regent gates and railings will make the perfect first impression on your guests. It features a traditional wrought iron appearance and decorative scrollwork between every vertical bar giving an elegant look whilst providing an effective barrier to contain a dog. The Regent range can add the security and peace of mind you want for your home and will control the flow of traffic through your garden. The Regent Range can be delivered to your door free of charge and gateposts can be added if necessary to make the gates fit your gap perfectly. Once you have received your products, they are easy to install and will instantly improve the appearance of your home. The Regent Bow Top Gates are constructed using solid steel for a traditional wrought iron gate appea.. 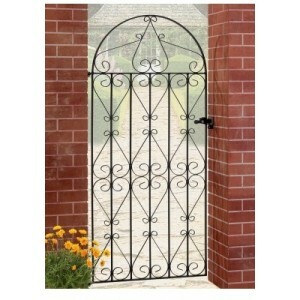 The Regent Double Gates are constructed using solid steel for a traditional wrought iron gate appear.. 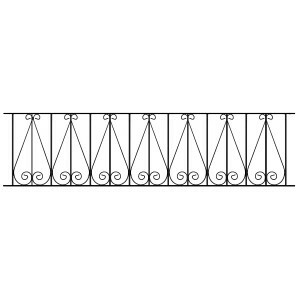 The Regent Railings are constructed using solid steel for a traditional wrought iron railing appea.. 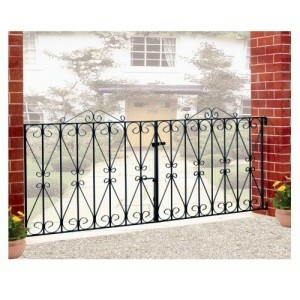 The Regent Single Gates are constructed using solid steel with a traditional wrought iron gate appea..